KRZ Port Bourgas has been established during 1974 as a division, and a bit later became economic independent unit for meeting the increasing needs for small and class docking reapirs of vessels owned by Ocean Fishing, Navigation Maritime Bulgare, Navy vessels, etc. After 1990, the Yard undergoes several changes connected with its legal status. With decision of Bourgas Country Court since 1995, KRZ Bourgas LTD is transferred in single joint stock company with state ownership. During 1997 has been changed to KRZ Bourgas JSC with head office and managing address – Bourgas, 3, Industrialna Str., with capital 635 400 BGN and value of each stock 1 BGN. According to the schedule of mass privatization during 1997, the yard is privatized and its major owner is “Multigroup” JSC. During 1999, the share of “Multigroup” JSC is bought by “Industrial Holding Bulgaria”, which and now possesses over 98% of the stocks. KRZ Bourgas JSC has been differentiated as daughter company in the investment wallet of the Holding, part marine business. The management is performing by General meeting of shareholders, Board of Directors and Executive Director. Main activity of KRZ Bourgas JSC is repair of Bulgarian and foreign vessels. Other activities, connecting with maintenance of shore facilities and floating vessels are being carried out, manufacturing of non-standard tools for vessels, production needs and etc. Since 2004, the company is working in direction development of port activity. The drop in shiprepairing in the region as a whole enforced the restructuring of company activity. This is one of the main factors, influencing unfavorably to the competitive power of yard in future plans. Gradually, the company orientate own investment politic to appropriate infrastructures, engineering and personnel for developing of port activity, but active one commence during 2006. Since 26.11.2004 KRZ Port Bourgas JSC possesses Certificate for exploitation ability with purpose handling of general and liquid cargoes, and since 30.11.2004 KRZ Port Bourgas JSC enter in the Port register of Republic of Bulgaria as Port for public transport with regional importance. 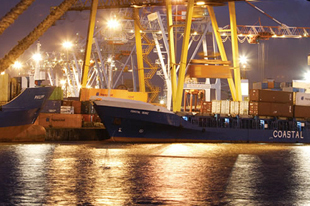 Since 28.03.2005 KRZ Port Bourgas is included in the Register for Port Operators of Republic of Bulgaria. The port activity is certified in accordance with international standard for managing of the quality ISO 9001:200 during December 2006. In 2007, the company expands its Certificate for exploitation ability, as appending to its purpose and handling of non-dangerous bulk cargoes from food origin. From February 2006 until August 2007 KRZ Port Bourgas JSC carries out activities in two main directions – ship repair and port activity. During August 2007, the company finalizes the deal for sale of its floating dock, and on practice this leads to interrupting of the ship repair activity.The main activity of the company since August 2007 is port activity.